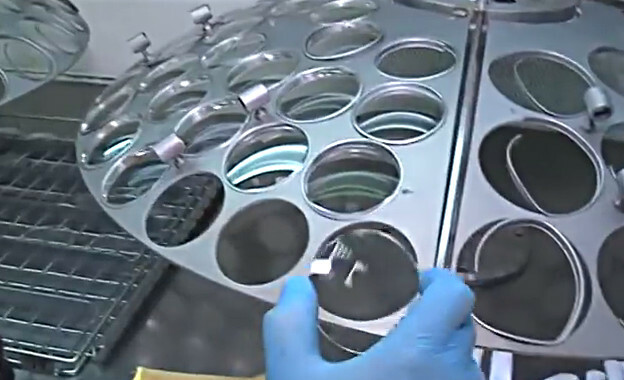 Lenses are the core of prescription glasses and their manufacturing process is complex. 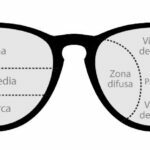 Are you interesting in discovering how a large glass turns into an incredibly thin and light corrective lens? Everything starts from a semi-finished lens, a thick lens that will be molded and grinded. 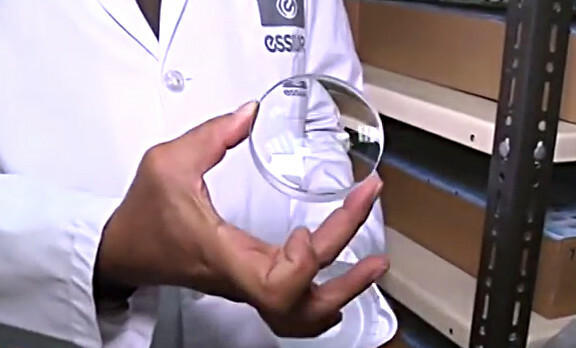 This blank, manufactured by Essilor International, is the surface the optical lab works with. The material used will depend on the wearer’s personal choices. So high-quality progressive lenses have higher lens index and hence they allow getting much thinner and lighter lenses, ideal for high prescriptions. The initial lens blank has the front surface of the lens completed by the manufacturer, and it is covered with a plastic coating to protect it. 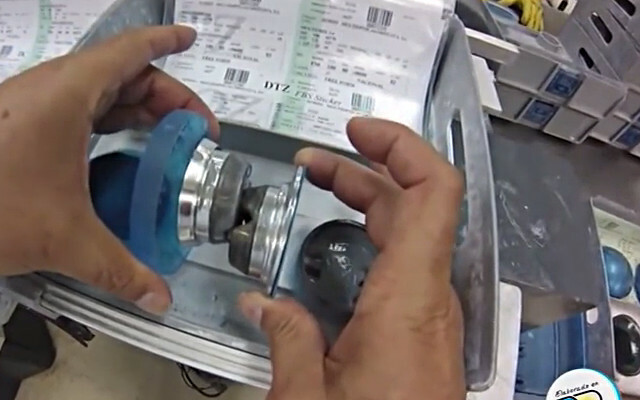 Also, the lens is placed on a special support so that it can be handled easily during the different production stages. In addition, this lens is perfectly assembled with this support so that there are no flaws in the molding process. The lens beveling is completely automatic. Then a powerful machine cuts the glass using a diamond with an infinitesimal accuracy. This beveling grinds each lens to its proper shape according to the wearer’s prescription. The higher the wearer’s prescription, the thicker the lens will be. 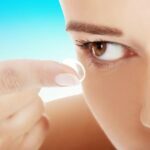 The lens undergoes a polish process to get rid of any microscopic imperfection. During the beveling and the polishing stages, a special solution is used to protect the lens and avoid an increase in the rubbing temperature. In this stage, the covering coat for protection and the support to be handled are removed. This is the moment to apply the desired treatment for the wearer. 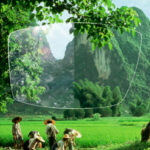 The anti-scratch coating or hardening coating make the lens more resistant and prevents scratches on the Surface. In this stage, the lens is totally cleaned to get rid of imperfections and later two different polishing varnishes. One coating will give elasticity and the other one will be a protector that will avoid scratches. 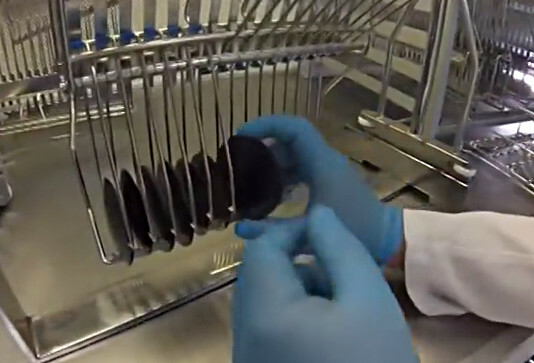 To dry this polish, lenses are inside an oven for 3 hours at 95ºC. This stage intends the polish is totally attached to the lens, making the life of the lens longer. Now it’s time for the AR coating (anti-reflective coating) that avoids reflection on the lens surface. 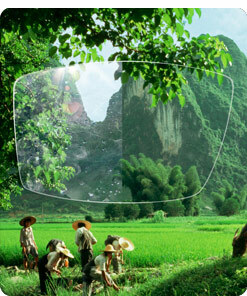 Thanks to this treatment, the wearer will enjoy a sharper and clearer vision, without any reflection on the lens inside. 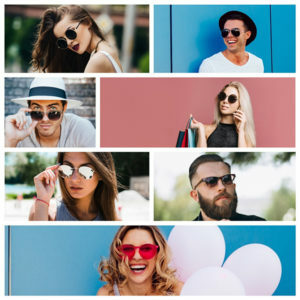 Besides, people will see clearly through the wearer’s lenses and will be able to see their eyes, without any reflection. To obtain this anti-reflective coating, lenses are introduced in a vacuum chamber for 80 minutes. This machine creates a vacuum environment inside, transforms certain solids into gas that will cover the lens surface. 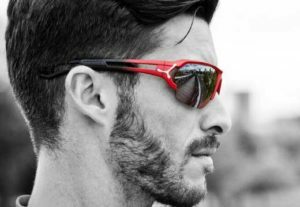 One of the latest anti-reflective coatings is Crizal, which also includes protection against UV radiation. Another very common treatment for lenses is tinting: from uniform tints to gradient ones, softer shades or darkest ones. Lenses are plunged into dyes at 90ºC. 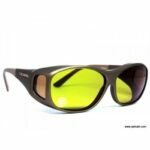 Depending on the desired shade, lenses will be plunged different times for a specific period of times. It is manually checked that the lens prescription is the right one, that its Surface doesn’t have any flaw, that all treatments have been perfectly applied, in other words, that the lens is flawless and impeccable and it can leaves the factory. This last stage takes place at Optical H workshop. Our team of certified optometrists-opticians adjusts the lens to the frame chosen by the wearer. The frame chosen is scanned to have a digital model of the shape the lens should be molded into to fit perfectly. Then, we bevel the lens with Mr. Blue 2.0, the most advanced edger machine. 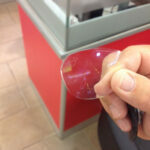 The result is a beveled lens that fits perfectly the frame, avoiding it to fall out. 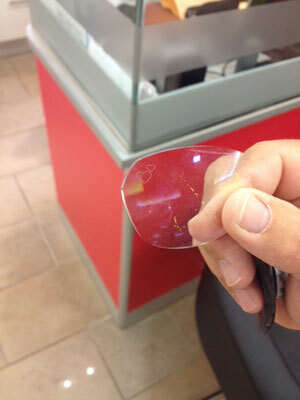 There is even a possibility to customize the lens with engravings on its surface. Essilor lens Factory is located near our workshop and that gives us the possibility to offer our customers high-quality prescription lenses, perfectly adjusted and set up in a record time. Now you know how our eyeglasses are made. Find the frame for a pair of eyeglasses that best fits your style, use our lenses wizard to assist you with your prescription glasses and we will do the rest. Which are the best progressive lenses? The eyes are made to see with the light but not to see the light.